The first Boston DJ performance by Wales’s Jamie Jones was a smashing success for Bijou, the techno emporium at which he made the scene. 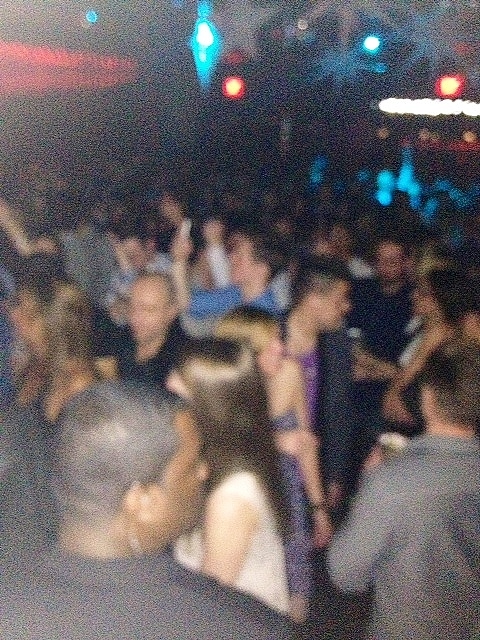 The club was full, full, full, and it stayed all full right to the last note of Jones’ last track of a two hour set. For this observer, however, Jones’s set fell short. This was a surprise. Beatport’s list of his top ten downloads feature some of the most ticklish joke-juke funk anyone has ever heard from a dance music track maker. “Road To the Studio,” “Jealousy,” “Percolator,’ and “Hungry For the Power” all squat, shrug, and grin like the vaudeville cameos they are. Not since the joke juke rap work of 1980s acts like Newcleus, Zapp, and (aptly named) Cameo has funny funk had its grinning in your face view of life this eloquently expressed. Unhappily, at Bijou, Jones’s lithe portraits of shrug, squat, and grin gave way to hard loudness — stomp, growl, grumble and gargle — shapes all standard-issue for DJs dropping sets in Boston. It would have been all right for Jones to play that kind of standard sound had he shown himself its master. And Jones, though still very young in a DJ world dominated by middle-aged masters, has a world-wide reputation; in 2011 he topped Resident Advisor’s reader poll of DJs. One might expect that ANY list’s Number one DJ would deliver a sound profoundly original, daringly crafted, full of message and feeling; yet Prok & Fitch, purveying a very similar sound at a Providence night club some months ago, topped every aspect of Jones’s Bijou set : daring, clarity, originality, progression. Perhaps that’s because Prok & Fitch played what they do; whereas at Bijou, Jones clearly was playing what he figured the Boston crowd wanted to hear instead. Jones’s tracks tickle and seduce. they’re light to the touch, a peck on the cheek, a soap bubble joke. They feel as delicate as Prince in that song where he pretends to be your girlfriend. But there was nothing girl-friendly about Jones’s massive yuck-work at Bijou. He played several of his top ten list, including its number one, “Moan and Groan,” a caricature of the now out of favor “electro” style. Here was a balloon of sound blown up almost to the bursting point. As a spoof on bad DJs, it had legs. But it was a hard act for even its maker to follow. Jones dropped several daredevil mixes — from acappella to a big stomp, big stomp to sharp tones, wobbly voice fade ins and glitch-tone fade outs, strips of tonality — that proved his chops and had me wondering why, given his ability to leap across sonar abysses, there wasn’t more of it. What there was a lot of was gimmicky sound-shaping, much of it glaringly tacky, as if Jones were caricaturing Donald Glaude, the DJ world’s emperor of tacky. Caricatures of tacky still sound tacky, and irony as an attitude leaves many — certainly left me — at odds with the beat and the sound. House music wants to get inside your soul; techno wants to surround you. Both genres transport the dancer — “take you on a journey,” Danny Tenaglia puts it. Jones’s smart-alecky goose waddles, however, left me at the station. As an alt-rock kind of dance music, it had a point, I guess, and Jones’s young fans seemed to get that. I still prefer Prok & Fitch. Local house DJ Tamer Malki’s opening set featured a lush low moan taken at a sleezy 120 bpm, a set as earnest and soulful as Jones’s was voraciously comedic. 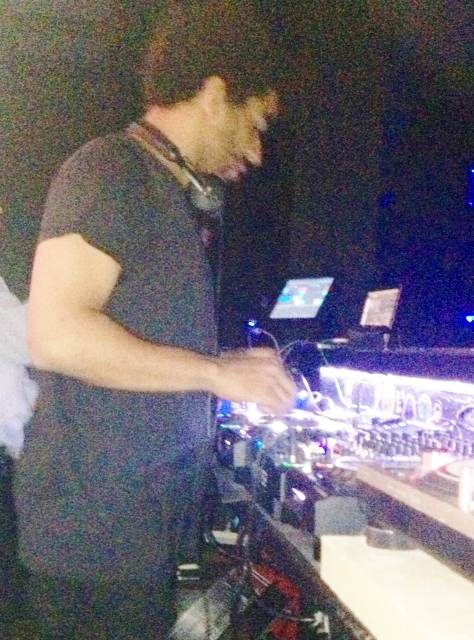 Feelin’ the Music : Our dance music critic’s review of Jamie Jones’s sold out club set at Bijou Boston last night.